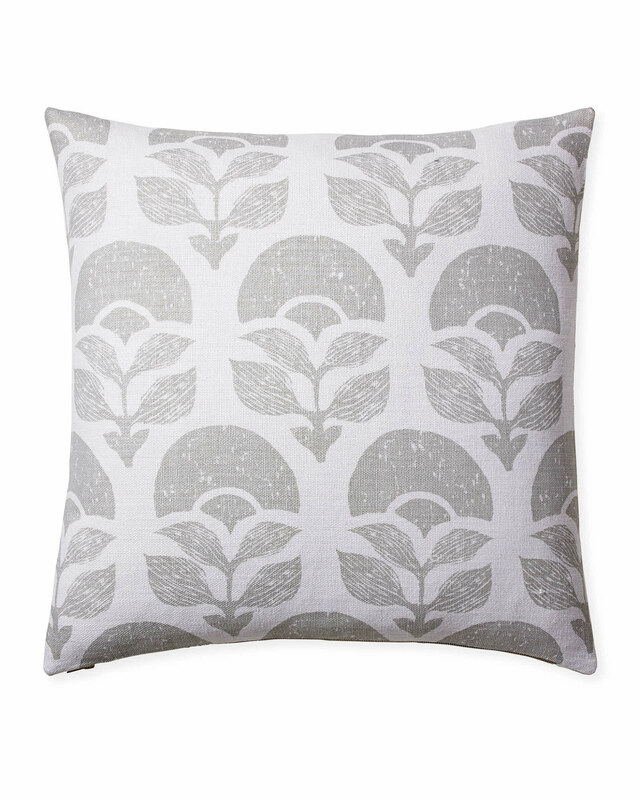 Larkspur Printed Pillow CoverLarkspur Printed Pillow Cover, Fog alt="Larkspur Printed Pillow Cover, Fog"
Print We love all the perfect imperfections of traditional block prints, and how the colors register somewhat unevenly for a soft, romantic look. Determined to create a great new print, our design team experimented with a modern rendition of a traditional lotus flower, playing with different scales, imprints, and arrangements ’til we found the effect we were after. 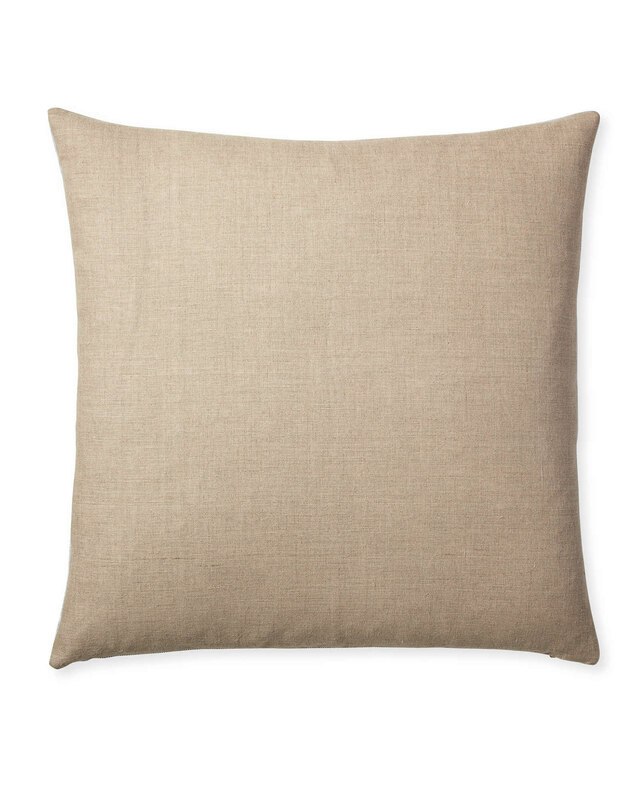 For a bit of extra fun, the pillow actually offers two looks – the floral pattern printed on a white front and a plain flax-colored linen on the reverse. Printed pattern on front only; front has a white linen ground. Solid flax-colored linen on the reverse. Lumbar size has an exposed brass zipper; Square size has a hidden zip closure.